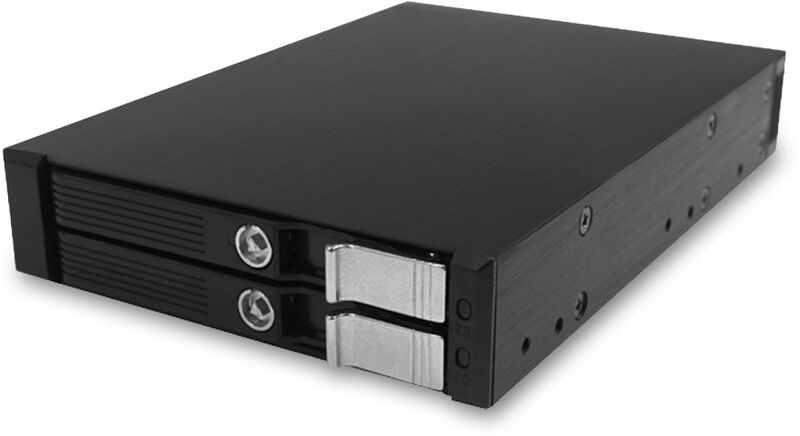 This aluminium quick-release caddy can be installed in a standard 3.5 inch (floppy drive) bay and will accommodate up to two 2.5 inch SATA drives providing an easy way to swap them in and out of the system. Sometimes it's useful to be able to easily install or remove a hard drive or SSD in a desktop PC. Rather than fiddle about with screws and cables, this useful caddy from Nofan allows one or two 2.5" drives to be put in or taken out with the push of a button. 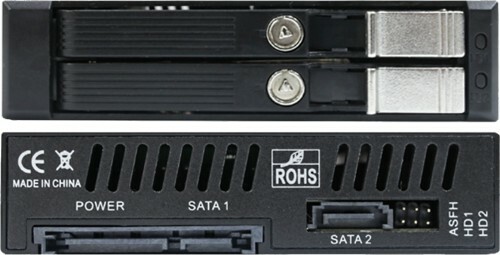 Each drive slides easily in and latches into place, with no cables or screws to worry about. 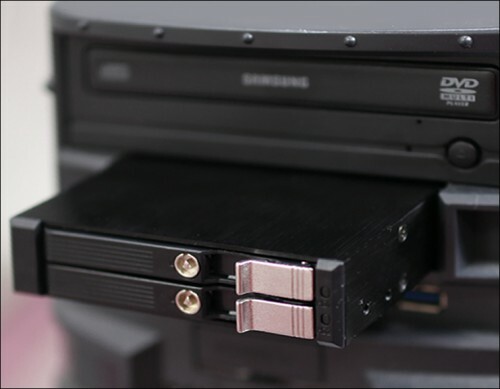 The caddy fits into a standard 3.5" (floppy) bay and once installed, makes it very easy to change drives for different PC functions, or remove them for security/storage.